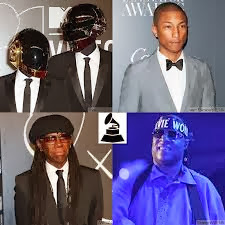 Album of the year: Random Access Memories, Daft Punk. 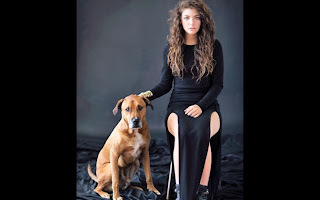 Song of the year: Royals, Lorde. 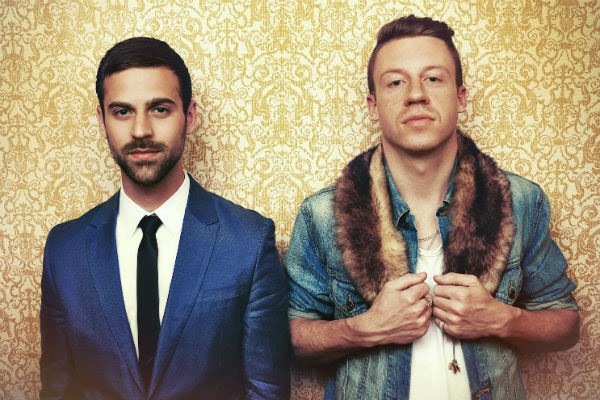 New artist: Macklemore & Ryan Lewis. 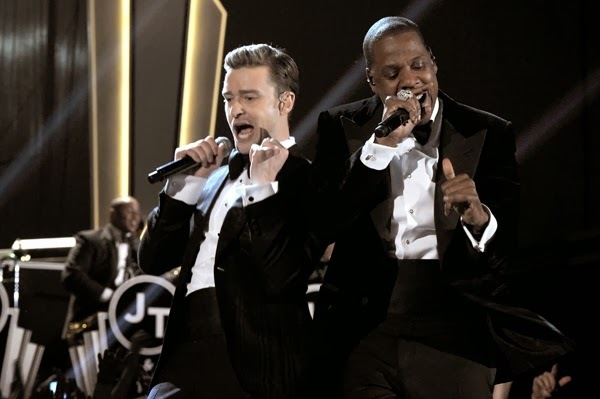 Rap/sung collaboration: Holy Grail, Jay Z with Justin Timberlake. 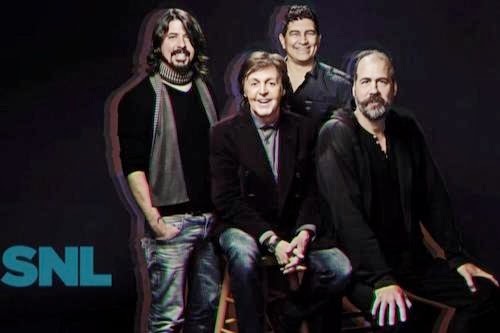 Rock song: Cut Me Some Slack, Paul McCartney, Dave Grohl, Krist Novoselic and Pat Smear. Country album: Same Trailer Different Park, Kacey Musgraves. 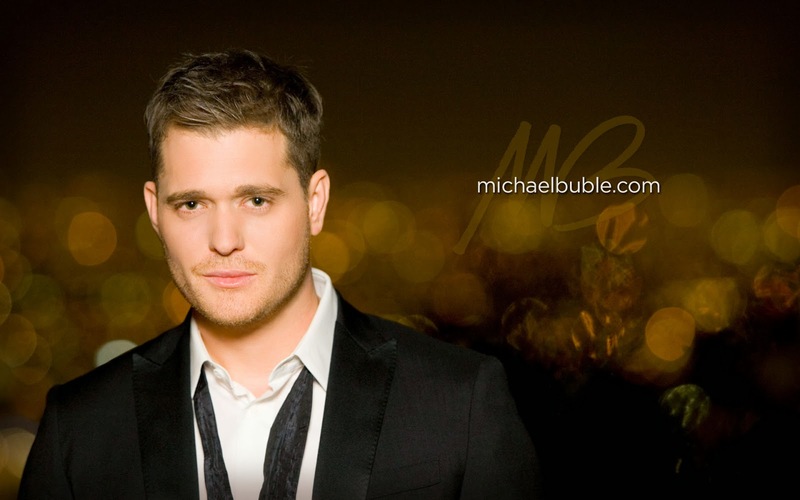 Traditional pop vocal album: To Be Loved, Michael Buble. 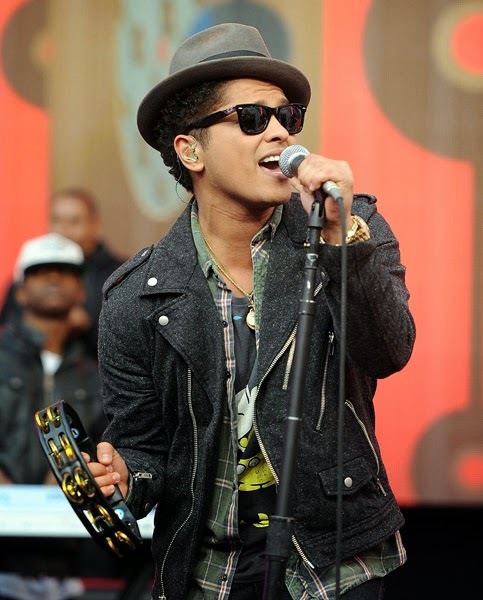 Rap performance: Thrift Shop, Macklemore & Ryan Lewis featuring Wanz. 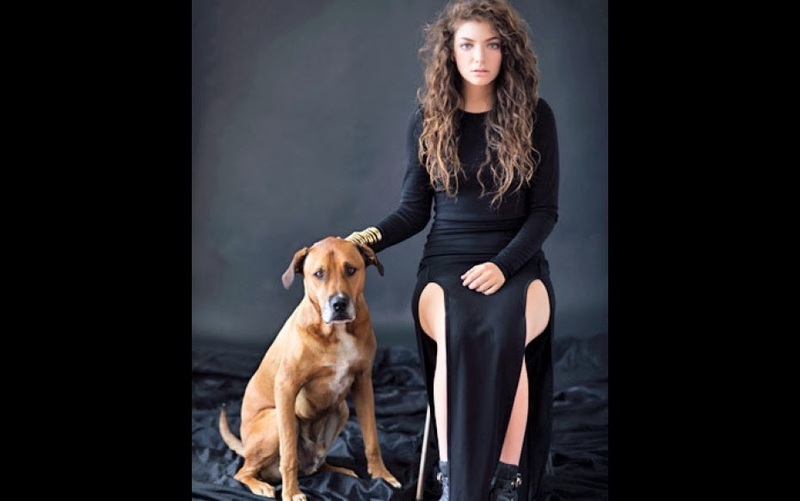 Rap song: Thrift Shop, Macklemore & Ryan Lewis featuring Wanz. 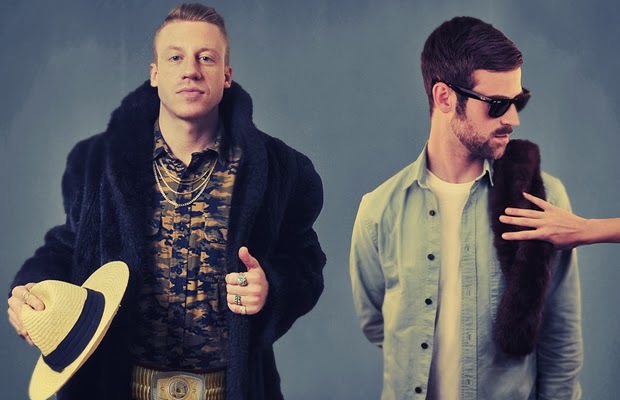 Rap album: The Heist, Macklemore & Ryan Lewis. Pusher Love Girl, James Fauntleroy, Jerome Harmon, Timothy Mosley and Justin Timberlake. God is Dead, Black Sabbath. 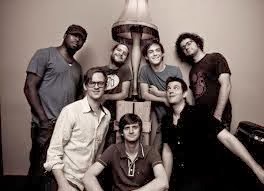 Modern Vampires of the City, Vampire Weekend. Random Access Memories, Daft Punk. Treinta Dias, La Santa Cecilia. Song for Maura, Paquito D'Rivera and Trio Corrente. Pacific Mambo Orchestra, Pacific Mambo Orchestra. From This Valley, The Civil Wars. Merry Go 'Round, Kacey Musgraves, Shane McAnally and Josh Osbourne. Get Up!, Ben Harper with Charlie Musselwhite. 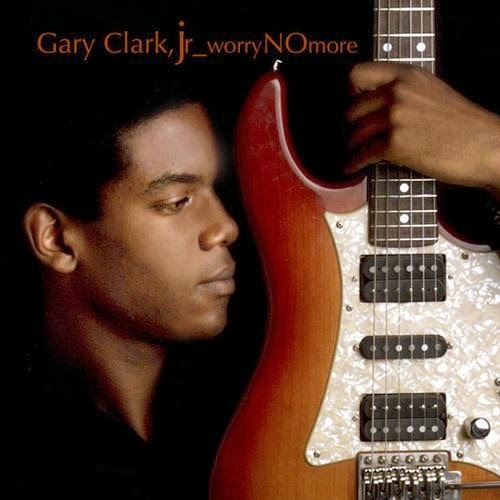 My Favorite Picture of You, Guy Clark. Old Yellow Moon, Emmylou Harris and Rodney Crowell. The Streets of Baltimore, Del McCoury Band. Ziggy Marley in Concert, Ziggy Marley. Throw a Penny in the Wishing Well, Jennifer Gasoi. America Again: Re-Becoming the Greatness We Never Weren't, Stephen Colbert. Calm Down Gurrl, Kathy Griffin. Money Jungle: Provocative in Blue, Terri Lyne Carrington. Night in Calisia, Randy Brecker, Wlodek Pawlik Trio and Kalisz Philharmonic. Sound City: Real to Reel, Dave Grohl and various artists, Butch Vig. Skyfall, Adele and Paul Epworth. Pensamientos for Solo Alto Saxophone and Chamber Orechestra, Clare Fischer. Symphonies Nos. 1 & 4, Osmo Vanska, conductor. The Tempest, Thomas Ades, Simon Keenlyside, Isabel Leonard, Audrey Luna, Alan Oke, Jay David Saks. Part: Adam's Lament, Tonu Kaljuste, conductor. 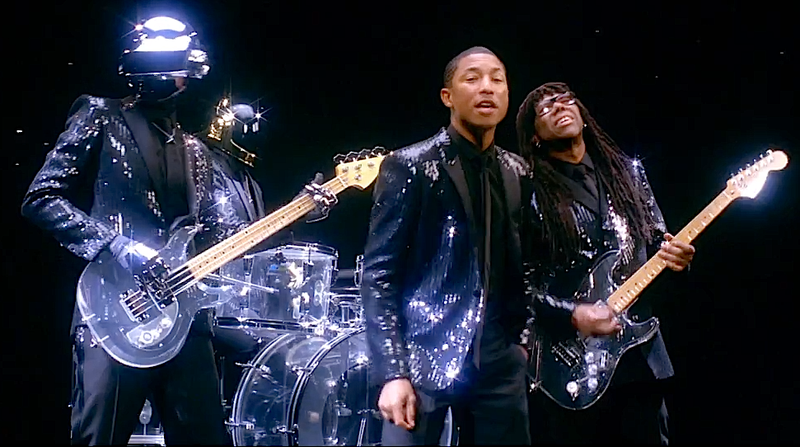 Suit & Tie, Justin Timberlake featuring Jay Z, David Fincher, Timory King. Live Kisses, Paul McCartney, Jonas Akerlund, Violaine Etienne, Aron Levin and Scott Rodger. The Complete Sussex and Columbia Albums of Bill Withers, Leo Sacks, Joseph M.
Palmaccio, Tom Ruff and Mark Wilder, and Charlie is My Darling, Teri Landi, Andrew Loog Oldham, Steve Rosenthal and Bob Ludwig.